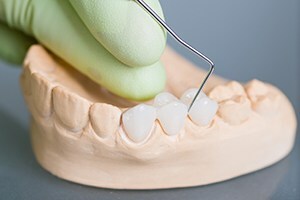 Restore Your Beautiful Bite with Dental Implants! Tooth loss affects millions of people every day, but you don’t have to be part of that statistic. 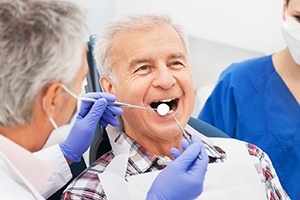 When you visit Dr. Nossa’s office for implant placement and restoration, you’ll gain far more benefits than what you’d typically find with other tooth replacement methods. These advanced dental devices are clinically proven to withstand daily use and provide reliable function for many years, so don’t hesitate to contact our office today and get started on your path to a beautiful, functional and long-lasting solution to tooth loss. Dental implants are not like your typical tooth replacement like traditional bridges or dentures. Implants work to replace the entire root structure of your teeth as well as the crown. By doing this, your jaw is getting the proper stimulation it needs to maintain its fullest biting force possible. That means you can eat all the foods you previously enjoyed as if your teeth were never missing to begin with. Additionally, implants are durable, reliable and long-lasting. When placed by a professional, they have success rates as high as 98 percent, even after a 10-year period. Implants also offer enhanced aesthetics by using all-porcelain crowns to replace teeth, ensuring no one can tell the difference between your existing teeth and your implant. They are truly an all-in-one solution to tooth loss, whether you’re trying to replace a single tooth, multiple teeth or an entire arch. Because of their versatility, many people can benefit from restorations retained by implants. Take a moment to consider your options below before attending your implant consultation with Dr. Nossa. Those wanting to replace a single tooth with implants will only need one titanium post and a single porcelain crown. Dental implants typically use porcelain in order to create the most natural appearance possible. The crown and implant are attached via an abutment, which provides a stable foundation for regular use. Replacing multiple consecutive teeth is as simple as creating a restoration designed to fit with two implants. 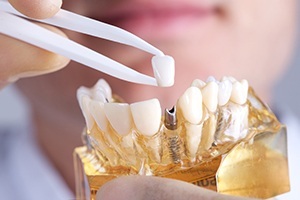 Instead of relying on neighboring teeth to hold the bridge like it would traditionally, an implant on either side can easily hold a bridge designed to replace three to four teeth at a time. For those who currently use dentures or are missing all teeth in a single arch, implants can be paired with an implant-retained denture. By placing four to six implants throughout the jaw, an entire arch can be restored. This option is ideal for those who are looking for a more stable foundation for their denture. Keep in mind that dental implant treatment costs will vary depending on your unique needs as a patient. For example, those who need to have several implants placed as opposed to one implant will experience higher costs. A bridge is going to cost more than a single crown and not all patients will be immediately capable of having implants placed. In some cases, they may first need a sinus lift or bone graft, increasing the total cost. Regardless of the price of your implants, you can rest assured knowing that your long-term investment will last for many decades.